Many Phillies fans are not yet sold on the team’s current manager, Ryne Sandberg, as far as his ability to skipper a winning team. After all, his record as a manager at the MLB level is not impressive to this point. 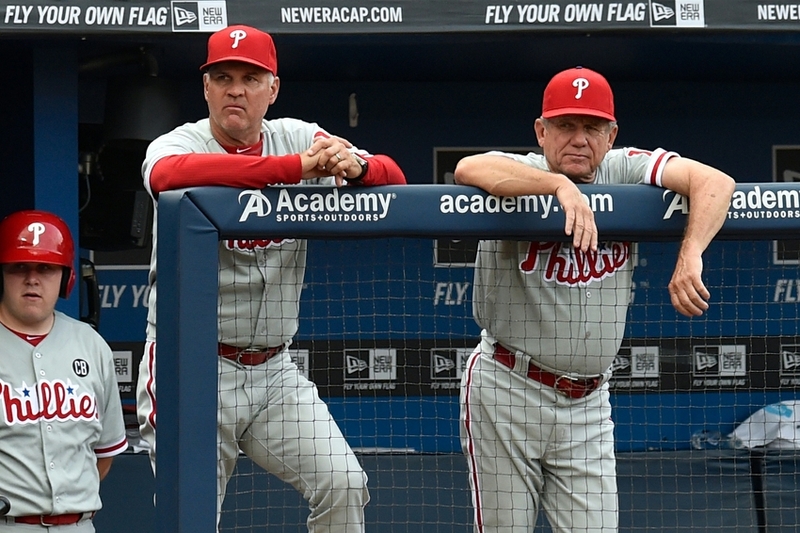 Since replacing Charlie Manuel in August of 2013, Sandberg’s managerial record is 93-111. The team finished in last place in 2014, his first full season at the helm. For Phils fans used to winning for more than a decade from 2001 through 2011, a last place finish is hard to swallow. 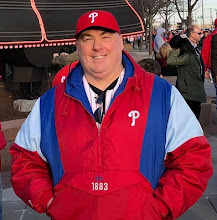 And in replacing the affable, down-home, World Series-winning “Uncle Charlie”, Sandberg’s more quiet intensity has been even more difficult for the fans to warm up to than were Manuel’s countrified stylings. Younger fans, pretty much any fan below the age of 30 and most under-35, don’t remember Sandberg as a player. And many fans who were around may simply not remember just how good a player the man was during the 1980’s and much of the 1990’s. With a greater appreciation of his background, perhaps we can give him a little longer leash in managing the club today. Ryne Sandberg’s player career began, as many of us older fans readily recall, right here in Philadelphia. 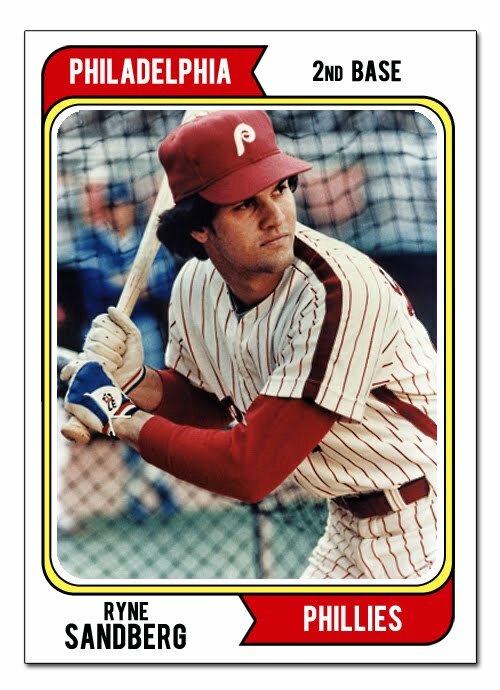 He was a 20th round selection of the Phillies in the 1978 baseball amateur draft, and he was a 20-year old shortstop at AA Reading in 1980 when the parent Phils won the World Series. That 1980 season was Sandberg’s minor league coming-out party. He hit .310 with 11 homeruns, 79 rbi, 95 runs scored, and 35 stolen bases. With Larry Bowa at shortstop, Manny Trillo at 2nd base, and future Hall of Famer Mike Schmidt at 3rd, he was blocked in Philly. Opinions on his ultimate ceiling were split, but to some in the organization, he was definitely a middle infielder of the future. One of those who was absolutely sold was the manager of that 1980 championship Phillies team, Dallas Green. Following the 1981 season, Green was lured away from the Phillies, where he had risen through the ranks to become manager. The Cubs offered Green the role of General Manager and Executive Vice-President. He would be in charge of bringing the Cubs back to contending status. During that 1981 season, Sandberg had gotten his first taste of Major League Baseball. The Phillies called him up in September as they pushed to return to the playoffs following their Series victory the year before. Sandberg appeared in 13 games through September and early October. He appeared 7 times as a pinch-runner, but also got into 5 as a shortstop, and even appeared in the season finale as a 2nd baseman against, of all teams, the Cubs. A week earlier, on September 27th, 1981, again as fate would have it against those Cubbies, Sandberg replaced Mike Schmidt with the Phils trailing Chicago 13-0 at Wrigley Field. It was a multi-player switch, with Schmidt getting rested in the romp. Sandberg went in to play short, Luis Aguayo moved over from short to 2nd base, and Ramon Aviles moved from 2nd to 3rd. With 2 outs in the top of the 8th, Sandberg came to bat for the first time in the game. In just the 4th at-bat of his career, he blooped a single to right field for his first career hit. The single would be Sandberg’s only career hit with the Phillies. He would go 1-6 in all during that late season cameo, and score 2 runs. When the Phils reached the playoffs during what turned out to be a work stoppage split-season, the 21-year old was left off the postseason roster. But he had gotten a taste of life in the big leagues and yearned for a regular role. He wouldn’t have to wait any longer, but that role wouldn’t come in Philly. Now in Chicago, in one of Green’s first big trades for the Cubs, he swapped 28-year old shortstop Ivan DeJesus to his old team the Phillies in exchange for the 36-year old Bowa. 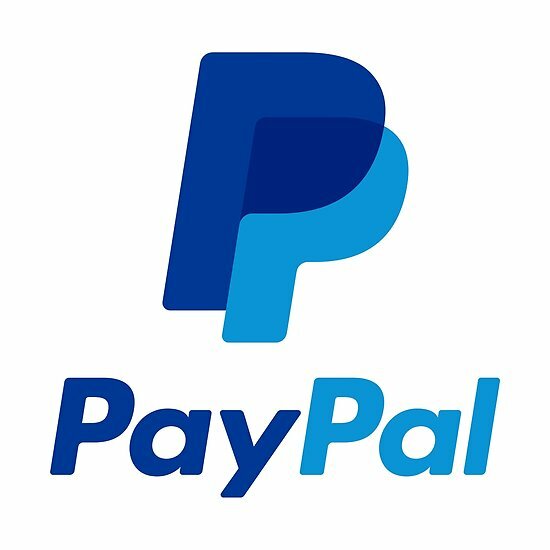 In negotiating the deal with the Phillies’ GM Paul Owens, to off-set the age difference Green demanded a minor leaguer, and pushed for Sandberg. Owens didn’t want to include the youngster, but Green wouldn’t yield. When a number of Phils scouts said that Sandberg was no more than a backup, Owens did the deal. The rest, as they say, is history. It turned out to be one of the most lopsided deals in baseball history. DeJesus played a solid shortstop in Philly for 3 years, and helped the team reach the 1983 World Series. But he never hit over .257, he homered just 7 times, and stole just 37 total bases. Bowa, thought to be nearly finished at the time of the deal, virtually matched DeJesus’ offensive and defensive performance over those 3 seasons. It was Sandberg’s performance that made the trade so lopsided. Not only did he turn out to be a regular, but he turned into a Baseball Hall of Famer. In his first season of 1982, Green and the Cubs turned over 3rd base to him, and the kid responded by coming in 6th place in Rookie of the Year balloting. He played 156 games, registered 687 plate appearances, and hit .271 with 54 rbi and 103 runs scored. The following year, while DeJesus and the Phils went to the World Series, Sandberg was moved to 2nd base, where he won his first Gold Glove Award. 1984 would prove to be Sandberg’s big breakout. At the age of 24, with the 38-year old Bowa as his doubleplay partner, the pair helped lead the Cubs to their first NL East crown since the divisional era had begun. The Phils finished a distant 4th, 15 games back. It was Chicago’s first playoff appearance since the 1945 World Series. Sandberg was an NL All-Star for the first time, and won his 2nd Gold Glove and his first Silver Slugger. He also flashed power for the first time, drilling 19 homeruns while driving in 84, scoring 114 runs, and stealing 32 bases. For this breakout season, Ryne Sandberg was voted the National League Most Valuable Player Award. On June 23rd of that 1984 season, what has come to be known in Cubs lore as “The Sandberg Game” took place. Chicago trailed the arch-rival Saint Louis Cardinals by 9-8 in the bottom of the 9th at Wrigley Field in what was the NBC ‘Game of the Week’ on TV. The Cards had ace closer Bruce Sutter on the mound. Sandberg, still known mostly for his glove at that point, drilled a game-tying homer. In the top of the 10th, the Cards answered by scoring twice to take an 11-9 lead. In the bottom of the 10th, Sandberg again came up, this time with 2 outs and the tying run on 1st base. Again, Sandberg homered off Sutter to tie the game. The Cubs would ultimately win in the bottom of the 11th. 1984 would be the first of 10 consecutive NL All-Star appearances for Sandberg. He won 9 straight Gold Glove Awards at 2nd base from 1983-91. He was awarded the Silver Slugger for offensive excellence at the position 7 times. In both 1989 and 1990, Sandberg finished 4th in NL MVP voting. He became a 30-homerun hitter for the first time at age 29 in 1989, and then reached 40 for the only time in his career in 1990. In 1985, Sandberg stole 54 bases, and he swiped 25 or more 7 times. He also eclipsed the 100-runs mark those same 7 times. Ryne Sandberg and the Cubs reached the playoffs twice during his career. That first go-around in 1984 ended in heartbreak. With the NLCS still a best-of-5 format in those days, the Cubbies won the first two games. Just one win from the World Series, they saw it slip away. A rookie named Tony Gwynn helped the San Diego Padres rally to 3 straight wins. In 1989, with the NLCS now a best-of-7, the Cubs were rolled out by the San Francisco Giants 4-1. Sandberg did his part, hitting .368 in 1984 and then .400 in 1989, when he also had a homer, 6 rbi, and 6 runs scored. In 1990, Sandberg won the Homerun Derby at the MLB All-Star Game. When the lockout hit Major League Baseball in 1994, Sandberg was 34 years old, and the Cubs were again floundering. Having lost the desire that had driven him for so many years, he decided to retire from the game. When the work impasse was ended and baseball resumed in 1995, Sandberg decided to stay in retirement. However, he regained his desire, and decided to play again in 1996. Returning as the regular 2nd baseman in Chicago, he showed rust with a .238 batting average, by far the worst of his career. But he still had pop, hitting 25 homers and driving in 92 runs at age 36. Sandberg returned for one more season in 1997. His 480 plate appearances were his least in a full season for his career. He hit a dozen homers, knocked in 64, scored 54, and raised his average 20 points to .264 over the previous season. On September 28th at Saint Louis, Sandberg came to bat with 2 outs in the top of the 3rd against Manny Aybar. He drove a deep fly to left-center that was hauled in by Phil Plantier. In the bottom of the inning, he was replaced at 2nd by Miguel Cairo. It would be Ryne Sandberg’s last appearance as a player. Across parts of 16 seasons, the man who had become known as “Ryno” had collected 2,386 hits. He scored 1,318 runs and had driven in 1,061 while hitting 282 homeruns. Sandberg hit over .300 in five different seasons, was an MVP, a 10x All-Star and 9x Gold Glover. He led the league in Homeruns once and in Triples once, and led the league in Runs scored 3 times. He is one of only 3 players in MLB history (Barry Bonds and Brady Anderson the others) to have registered both a 40-homer season and a 50-steal season at some point in their career. In 2005 in his 3rd shot, Ryne Sandberg was elected to the Baseball Hall of Fame, receiving 76.2% of the vote. In 2005, the Cubs made his #23 just the 4th uniform number to ever be retired by the organization. This is what the Phillies traded away all the way back in late 1981. This is what the Phillies hired as their manager in 2013. It isn’t just that playing excellence they hired. Sandberg managed in the Cubs organization for 4 seasons from 2007-10, and in the Phillies system from 2011 onward. In his first year as a manager at Class-A Peoria he took the team to the title game. At Class-AAA Iowa in 2010, Sandberg was named the International League Manager of the Year. When the Cubs passed him over for their managerial job following that 2010 season, Sandberg moved to the Phillies and took over their AAA team at Lehigh Valley. He led the Iron Pigs to the organziation’s first-ever postseason appearance, and to the International League championship series. Baseball America named him their Minor League Manager of the Year following the season. After one more season at Lehigh Valley, Sandberg was promoted to the 3rd base coaching position in Philly. So he not only has put in coaching time, but has succeeded in that role. I don’t know if Ryne Sandberg will prove to be a successful Big League manager or not. He certainly inherited a team on the decline with not a lot of help coming from the minor leagues. 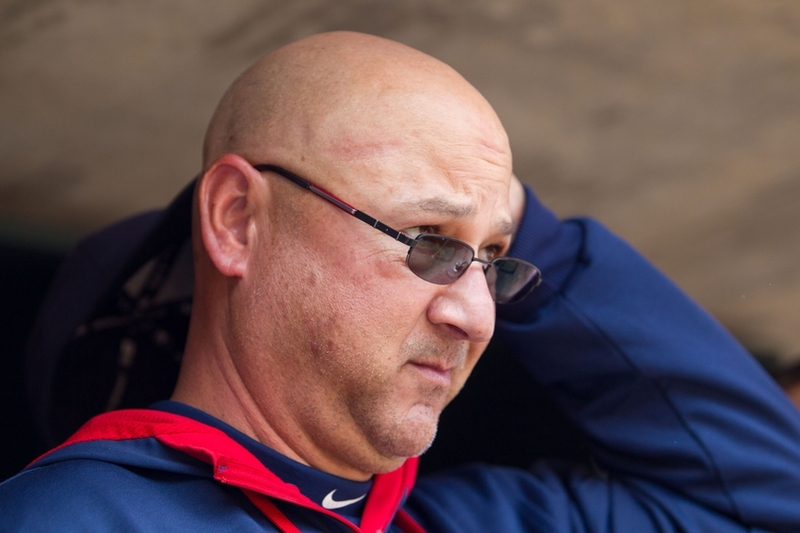 Much as with Terry Francona a decade-and-a-half ago, it has the feel of an apprenticeship. However, after serving that apprenticeship, Francona went on to win the World Series in Boston. The Phillies have already sold short on Sandberg once, three decades ago. Perhaps with that lesson and the lesson of Francona in their history, none of us should be impatient with the man this time around.